A few days ago I worked PJ7/W9DR for a new entity on 6 metres. In the past, the entity was deleted because of the change in governmental structure. The contact with PJ7/W9DR was greatly appreciated! Looking W9DR up on QRZ.com led me to a nice video of his water cooled 6 metres amplifier, that runs 1 kW+ from a box with a very small form factor. I assume that David was using the amplifier form St. Maarten. 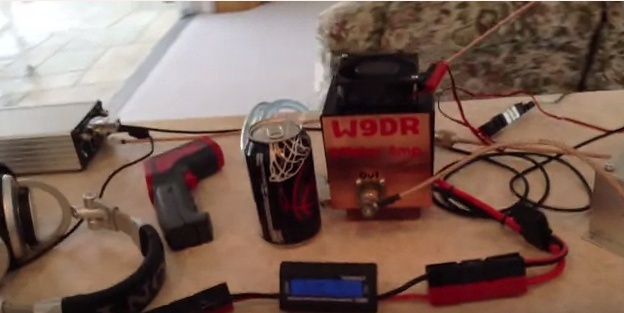 The video shows some interesting accessories, like a voltage/current meter and a power supply that is also very small. Riley the cat is watching carefully! I liked the video, for me it was also about the fun factor!